This is the first book in the English language to offer an analysis of a conflict that, in so many ways, raised the curtain on the Great War. In September 1911, Italy declared war on the once mighty, transcontinental Ottoman Empire – but it was an Empire in decline. The ambitious Italy decided to add to her growing African empire by attacking Ottoman-ruled Tripolitania (Libya). The Italian action began the rapid fall of the Ottoman Empire, which would end with its disintegration at the end of the First World War. The day after Ottoman Turkey made peace with Italy in October 1912, the Balkan League attacked in the First Balkan War. The Italo-Ottoman War, as a prelude to the unprecedented hostilities that would follow, has so many firsts and pointers to the awful future: the first three-dimensional war with aerial reconnaissance and bombing, and the first use of armored vehicles, operating in concert with conventional ground and naval forces; war fever whipped up by the Italian press; military incompetence and stalemate; lessons in how not to fight a guerrilla war; mass death from disease and 10,000 more from reprisals and executions. Thirty thousand men would die in a struggle for what may described as little more than a scatolone di sabbia – a box of sand. As acclaimed historian Charles Stephenson portrays in this ground-breaking study, if there is an exemplar of the futility of war, this is it. Apart from the loss of life and the huge cost to Italy (much higher than was originally envisaged), the main outcome was to halve the Libyan population through emigration, famine and casualties. The Italo-Ottoman War was a conflict overshadowed by the Great War – but one which in many ways presaged the horrors to come. 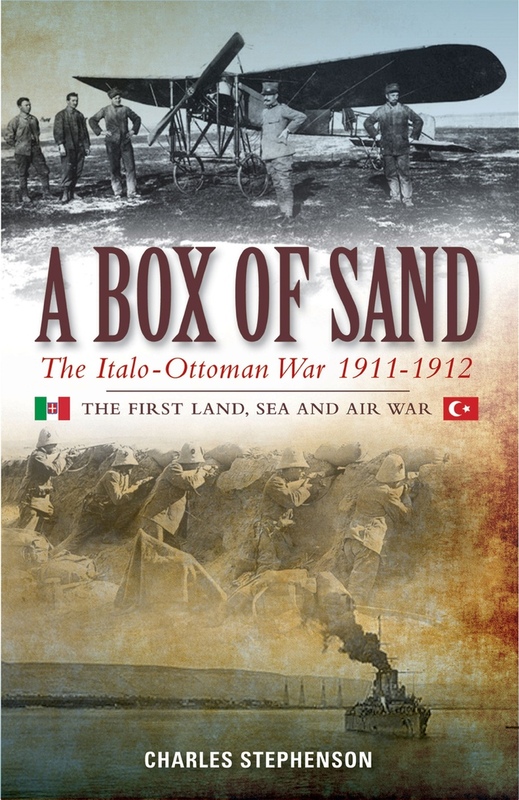 A Box of Sand will be of great interest to students of military history and those with an interest in the history of North Africa and the development of technology in war.